SNOWSHOE, West Virginia – (March 27, 2013) – Despite the calendar-turn to Spring, Snowshoe Mountain (www.snowshoemtn.com), the #1 ski resort in the Mid-Atlantic, is getting an extra piling of fresh powder from Old Man Winter. With over four feet of new snow this month, and two feet added just this week, the resort announced today that they will now keep the mountain open through Saturday, April 7. The resort was originally set to close this Sunday, March 31 but officials feel it would be ridiculous to turn their back on the best late-season snow conditions in years. Snowshoe Mountain is currently enjoying one of its best winter seasons in years, as big storms allowed the resort to open early in November and now late season storms will allow the resort to host its longest season in over a decade. Snow continues to pile up at the resort as it has been continually falling since Sunday on the resort. This is good news for Virginia residents, as the resort’s extended opening will allow those getting ready for Spring Break an option to still ski. The resort has also extended its Value Pricing for lift tickets and lodging options for this additional week. Thanks to over five-feet of snow so far this month (nearly two-feet the last week) and more in the forecast, Snowshoe Mountain has announced that it has extended the 2012-2013 season through April 7. The Pocahontas County resort is currently providing 40 trails for skiing and snowboarding over 172 powder covered acres. The other two West Virginia Ski Resorts still operating, Winterplace in Raleigh County and Timberline in Tucker County are still scheduled to close this Sunday, March 31. The state’s largest Nordic area, White Grass Touring Center, also in Tucker County, plans on providing cross-country skiing and snowshoeing as long as the natural snow lasts. The mountain state’s resorts have experienced an uptick in visitation this season after suffering through a mild winter last year. The five-month long ski season in West Virginia has an estimated economic impact of over $250 million and 5000 jobs at the resorts. For more information on skiing and snowboarding in West Virginia go on-line at goskiwv.com. 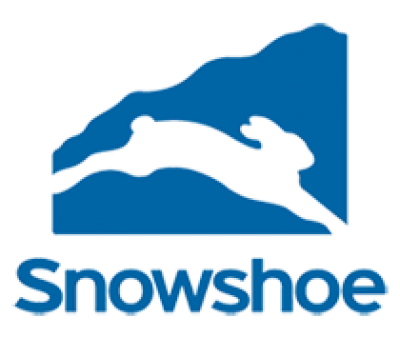 Next articleSnowshoe Extends Their Season to April 7th! Mike is the Editor and founder of SkiSoutheast.com, SkiNC.com and ResortCams.com. 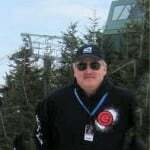 Since September 1996 he has posted close to 14,000 posts, articles, photos and videos promoting all of the ski areas of North Carolina, Tennessee, Virginia, West Virginia and Maryland.Mike is the father of four daughters, is an avid skier and enjoys golf, tennis, kayaking and hiking in the mountains. Winter snowsports and Summer boating on Watauga Lake are among his favorite pastimes.